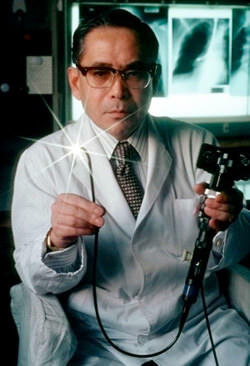 Originally known as the World Association for Bronchology, this organization was founded in Japan in 1978 by Dr. Shigeto Ikeda, a Japanese thoracic surgeon and bronchologist responsible for the development of the flexible fiberoptic bronchoscope in the late 1960s. Following Dr. Ikeda’s death in 2001, the chairmanship of the WABIP was consecutively held by Doctors Hirokuni Yoshimura (Japan), Udaya BS Prakash (United States), and Pablo Diaz (Spain). During this entire period, the Secretary General of the organization was Professor J. Patrick Barron, an internationally recognized academic and educator working at Tokyo Medical University. In view of the expansion of minimally invasive procedures and an increased awareness of disease processes and techniques becoming available to individual members, not the least because of many well-attended congresses and hands-on workshops, but also as a result of the natural growth of the field, a working group was designated to discuss the future of the society. The group proposed that the organization encompass more of the globe while bringing on more colleagues at lower costs in an attempt to be increasingly inclusive, transparent, and to honor the new mission and goals of this truly international society. The society’s name was changed to The World Association for Bronchology and Interventional Pulmonology (WABIP) so as to encompass health care and industry members with interests in airway, lung, pleural and esophageal procedures, technologies, and disease processes. In order to reinforce global ties not only of individual members, but also of national and regional societies, membership would be for the most part en-bloc. These changes were announced and approved at the annual meeting of the Board of Regents held during the 2010 conference in Budapest, Hungary. The World Association for Bronchology and Interventional Pulmonology (WABIP) is a non-profit organization consisting of over 8,900 medical professionals representing over 50 regional and national societies.